Went to the San Antonio Radio Fiesta in Schertz, TX this weekend. First time there. 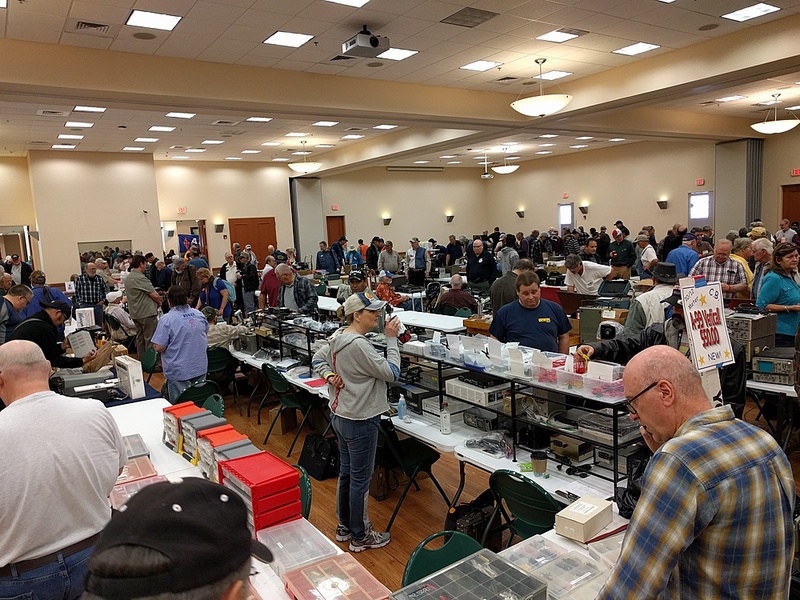 Small convention, but well-attended. 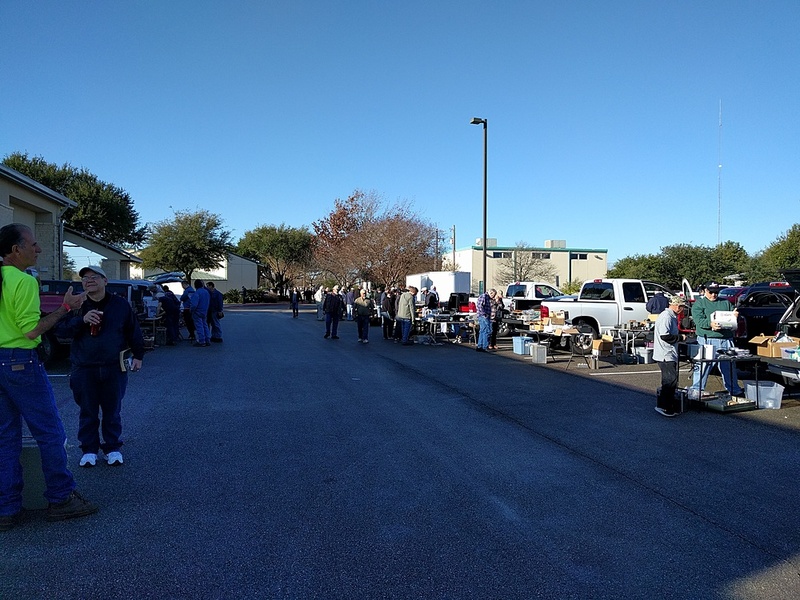 It appeared to be slightly disorganized, and many of the vendors folded early, so really it felt like a garage sale. Otherwise, a good way to spend a few hours. They had actual convention talks and sessions, none of which I took time to get to. Next year, maybe. Was good to cross paths with a few familiar faces and make better acquaintances, talking shop and trading stories. Makes it worth the effort. Didn’t find much on my grocery list, but saw some of the same vendors that I see at Belton and Austin Summerfest, so there’s that. I did manage to find a great deal in the tailgate area. 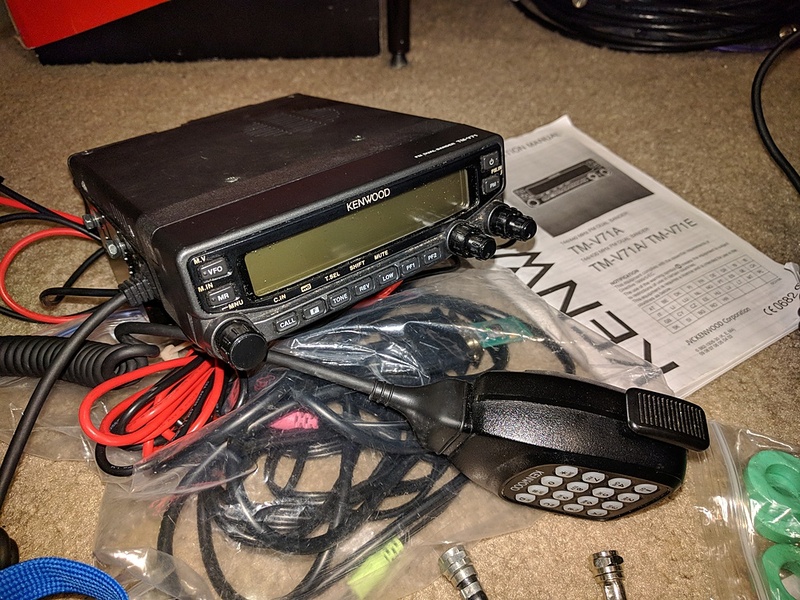 Picked up a Kenwood TM-V71A dual-band radio to replace the aging Icom IC-2350 in my apartment; my first Kenwood radio. On paper, it seems to be slightly more capable than the Yaesu FT-8500 I have in the car. I haven’t cleaned it or set it up yet, so I’ll know if my purchase was smart or not as soon as I get around to it. At least it powered up when the seller let me test it in his truck. So who knows? Also got a desk microphone for my Yaesu FT-857. 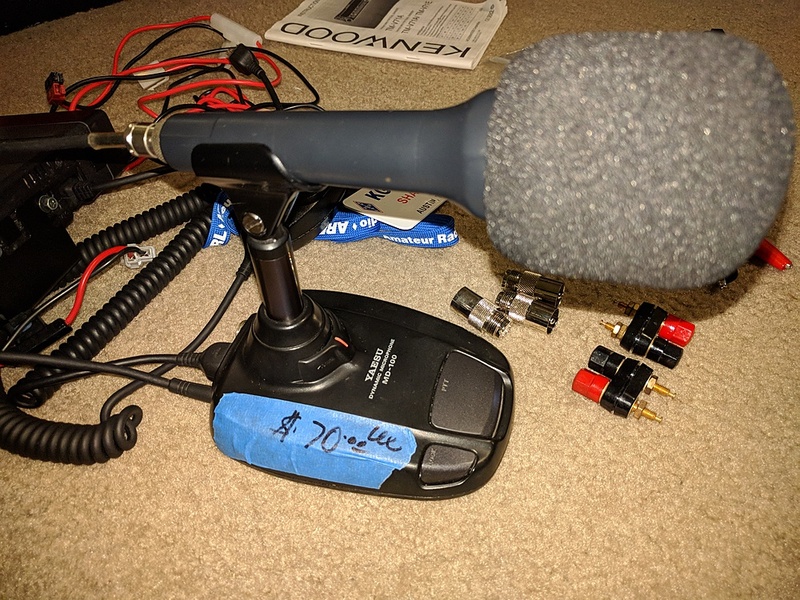 It’s got some quirks with the PTT and up/down switches, but gives me around the same power output on SSB as the hand mic (so the power issue mentioned previously might be something other than the hand mic). Again, who knows? It was nice to get out of town for at least half a day. I fully intend to get down to San Antonio at some point for touristy stuff. Almost 19 years in Central Texas, and haven’t done so. So one of these days. Maybe? Planning is hard. Too Much Food™ at nearby El Jalisco. 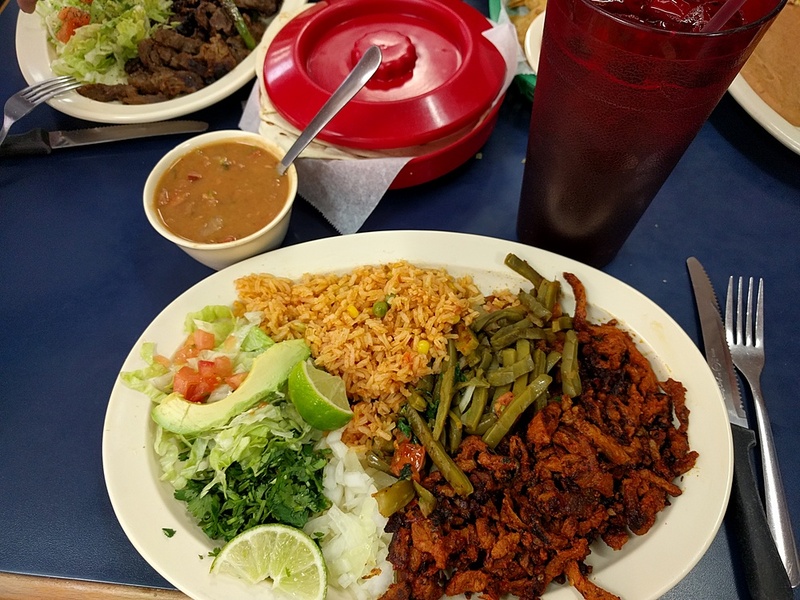 Al pastor plate.